Space Afrika offer a bird’s eye view of the city at night with Somewhere Decent To Live; their keenly anticipated first LP on sferic. Unshackled from dancefloor needs, but still inspired and feeding off its spirit and romance, the pair respectfully acknowledge the undercurrents of jungle, dubstep, ambient techno and deep house which feed into their home city’s late night economy, dowsing their tributaries back to dub and rendering the findings in a quiet, modestly lush ambient haze with a flawlessly anaesthetising effect. Taking gaseous form as a series of dark blue hues and subbass pulses, the vibe inside is delectably elusive. Unlike their previous transmissions on Where To Now? 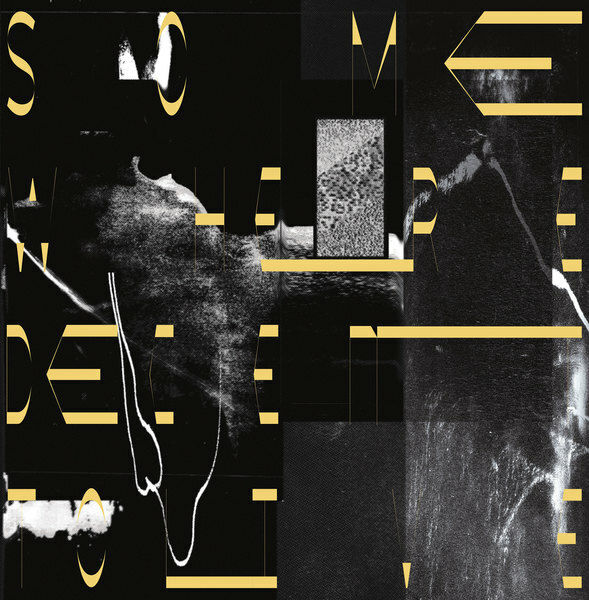 and Köln’s LL.M., the pair’s dancefloor urges are dissolved in favour of suggestively mutable ambient frameworks, leaving the kicks in the club while they appear to float overhead like the dead kid embarking his Bardo in Gaspar Noé’s Enter The Void. In firm but gentle style they feel out eight interlinked headspaces, drifting like spectral flanneurs from the Diversions-like opener uwëm/creãtiõn to intercept telepathic thoughts from Teutonic friends in the percolated subs and drizzly ambient clag of sd/tl, before arriving at the most arresting moment in their catalogue thus far with the masterfully widescreen yet immersive bly and its sublimely smeared timbral thizz. The second half of the record subsequently describes a more inward journey from wistful loops in u+00B1 to the sylvan 2-step of gwabh and curve feat. Echium, ultimately culminating in the echo chamber melt of dred.